computer/laptop in a WIFI network/LAN. 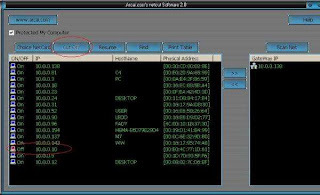 However, this software can be used to retrieve internet bandwidth from other computers in a LAN/WIFI. Shared.The only computer which is allowed by you can get a network connection other-wise no one will be able to surf the internet. You can download this software from the internet free of cost. 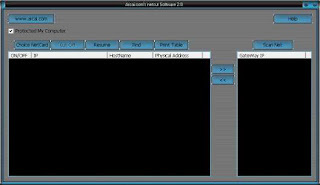 Step2:- Unzip the downloaded Software and install it On Your System. Step3:- Open the Software and you will get the following screen. 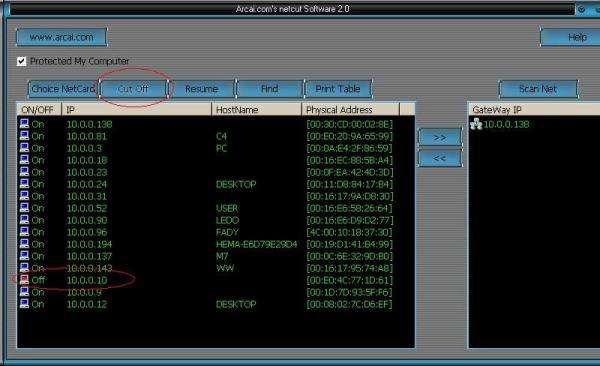 Step 4:- Select all or any One of the IP Addresses Seen on the Screen EXCEPT the first Two IP because they are Your PC's IP Address. 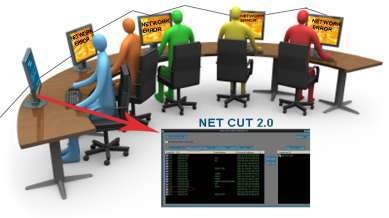 Step 5:- After Selecting the IP address Press the Cut off Button and the internet connection will be cut off within few Seconds. Step 6:- To Resume or Start the Internet again Press the Resume Button and the internet will again start working in the shared computers. Note: This tirck is for education purpose only.Don't miss use it.